Would be nice to see power draw and power state for the gpu. 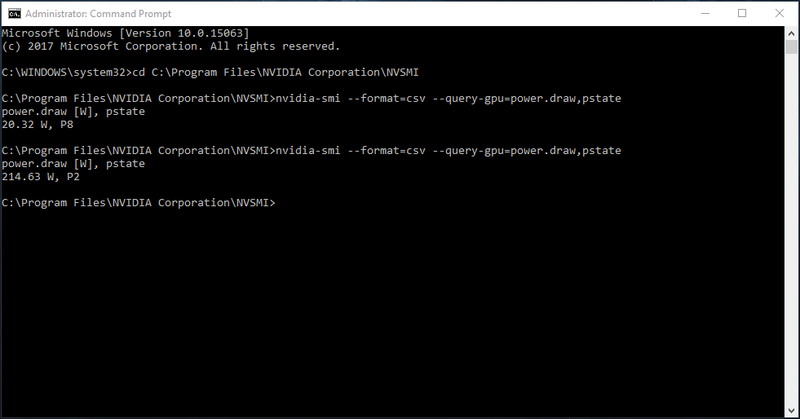 The information is allready there if you go to cmd and type "cd C:\Program Files\NVIDIA Corporation\NVSMI" followed by "nvidia-smi --format=csv --query-gpu=power.draw,pstate"
(This is for NVIDIA cards, dont know about AMD). Those measurements are obtained via the NVML API, which is difficult to utilize from our software. We will need to work more on it, and implement special tricks to use NVML, and so you can have the same GPU power draw measurements in AIDA64 as well.